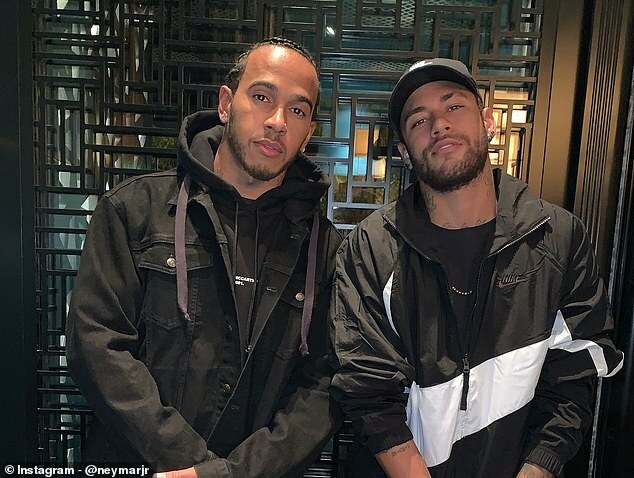 Two of the most recognisable men in world sport came together on Saturday night, as Lewis Hamilton and Neymar posted pictures from Doha on Instagram. 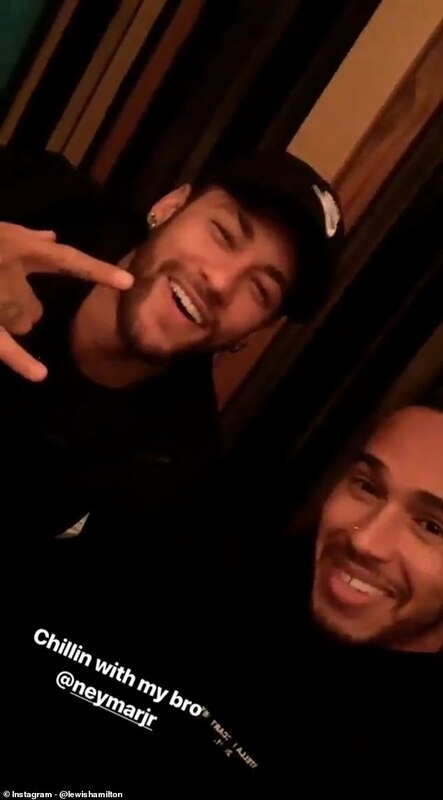 ‘My bro from another mother,’ wrote Neymar, posting a picture with the F1 world champion. Meanwhile Lewis Hamilton posted a video to his Instagram story, nodding to the camera before panning to reveal the world’s most expensive footballer. They were together in Doha, after Hamilton had earlier been seen watching the MotoGP motorcycle race at the Losail track. Neymar is currently recovering from a foot injury, and has been using his free time to chill with some of his famous friends. He was injured in a French Cup game against Strasbourg in late January and hasn’t played since. He spent a little over a week in his home country of Brazil to recover, but flew back to France to watch PSG lose in the Champions League in midweek. He didn’t take the defeat to Manchester United well, as he had to be restrained by PSG staff as he tried to confront the match officials following the match. Meanwhile Lewis Hamilton is preparing for the upcoming Formula 1 season. The first race of the year, the Australian Grand Prix, takes place in Melbourne on March 17. Lewis Hamilton has now won five F1 World Championships, triumphing in the last two and four of the last five. Next Real Madrid Captain Sergio Ramos Holds ‘Players Only’ Crisis Meeting To Try And Unite A Fractured Club… But Who Is Fighting Who At The Bernabeu?